The Spanish house at 2238 Malcolm Ave., LA CA 90064 lasted 46 days on the market before receiving an accepted offer way back on 5/8/09. 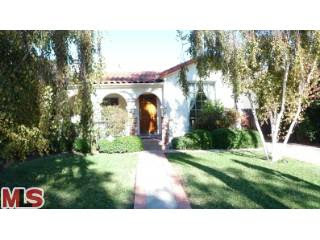 The home was listed on 2/13/09 for $1,056,000 and received 1 major price reduction during the listing term. Because this home was a short sale it took just over 6 months for the house to close. The home closed on 11/17/09 for $850,000. According to the MLS, the home is a 3 bedroom / 2 bath, 1,471 sq ft home on a 5,400 sq ft lot.